Yeovil Hospital takes the control of infection very seriously and every attempt is made to ensure a clean and safe environment. The prevention and control of infection is seen as everyone’s responsibility and the Infection Prevention and Control Team (IPCT) is available to offer expert advice and guidance to staff, patients and visitors from all areas across the Trust. 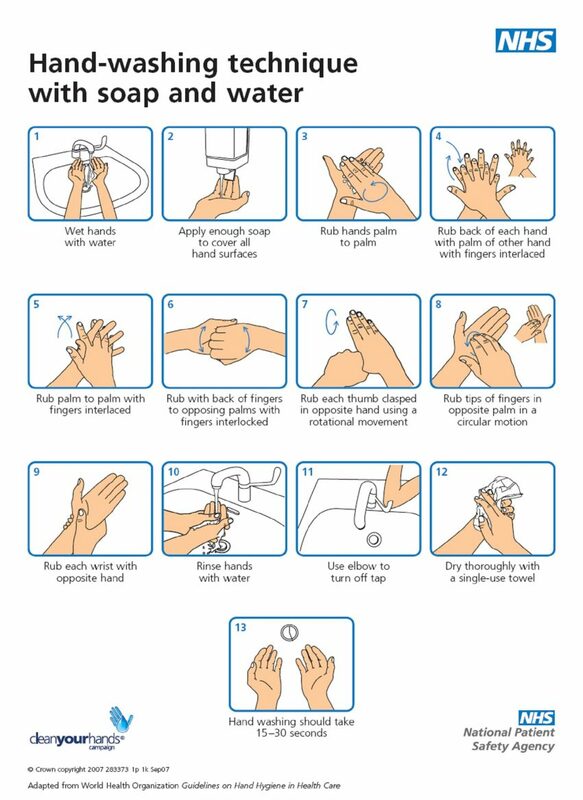 All staff should be complying with our hygiene codes and washing their hands or using gel between patients. If you see a member of staff not doing this please feel free to ask them to do so. Visitors should use the gel on the hand stations located at the entrance to each ward and as they leave. Visitors are asked not to come into the hospital if they have diarrhoea or vomiting or a heavy cold. If you see any areas that have not been cleaned, or if you are an inpatient and there is equipment or used items on your locker or bed table for any length of time, please ask for these to be removed. If you find any of our sanitary facilities, particularly toilets, are not clean, please tell a member of staff immediately. If you have a condition that requires isolation staff will explain whether isolation in a side room or by specific precautions is required. If you are in isolation we would advise that visiting is limited to close family in order to protect both yourself and or visitor. Norovirus is a highly infectious bug which causes sickness and diarrhoea. Although the symptoms are short-lived they can be very unpleasant. The symptoms can vary but include combinations of the following: Nausea, vomiting, diarrhoea, stomach pain, headache, aching muscles. The virus is highly infectious and easily spread from person to person in several ways, but particularly through contaminated hands, contaminated surfaces or food prepared by someone with symptoms or incubating the virus. Visitors to Yeovil District Hospital can help us prevent Norovirus spreading by adhering to some simple guidelines. Wash your hands with soap and water after using the toilet and before eating. Do not visit the hospital if you have had any diarrhoea or vomiting within the last 72 hours. Any visitors should clean their hands on entering and exiting wards.